Enjoy a day of experiences, visits, tours, exhibitions, and more at Mitcham Heritage Day, and discover just some of the great heritage our area has to offer. Don’t forget to check out the special children’s events too! There are refreshments at many venues. Below are just some of the things you can do. Full details are on the leaflet (see below) including the location of each venue and the timing of guided walks and other events. Mitcham Cricket Green Community & Heritage would like to thank all the volunteer participants for making this year’s Mitcham Heritage Day such a packed, vibrant and varied event. 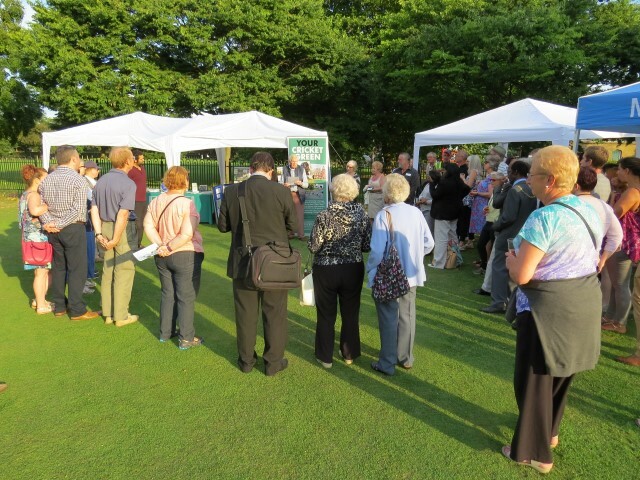 and is an opening day event for this year’s Wandle Fortnight. Sarah Gould, Merton Council Heritage & Local Studies, for providing special exhibitions For King and Country, Mitcham’s Architectural Treasures and Snapshots of a Bygone Age. This entry was posted in Cricket Green Conservation Area, Events and tagged Mitcham Heritage Day on August 1, 2018 by mitchamcricketgreen. Come and enjoy the heritage on your doorstep and find out more about where you live. Just some of the things you can do for free! Refreshments available through the day at most venues. Round the day off with a choral concert including music specially composed to celebrate Mitcham’s heritage. Full details on our leaflet (below). Mitcham Heritage Day is participating in Heritage Open Days. 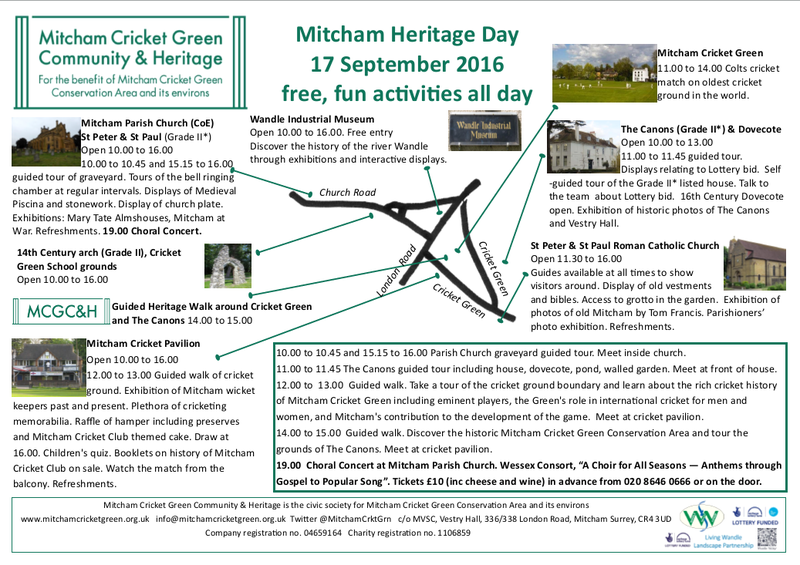 This entry was posted in Cricket Green Conservation Area, Events and tagged Mitcham Heritage Day on July 28, 2017 by mitchamcricketgreen. Join us on Wednesday 26th July on Mitcham cricket ground. Mitcham Cricket Green Community & Heritage invites you to join us on Wednesday 26th July for our annual celebration of Cricket Green and everyone who lives and works here. 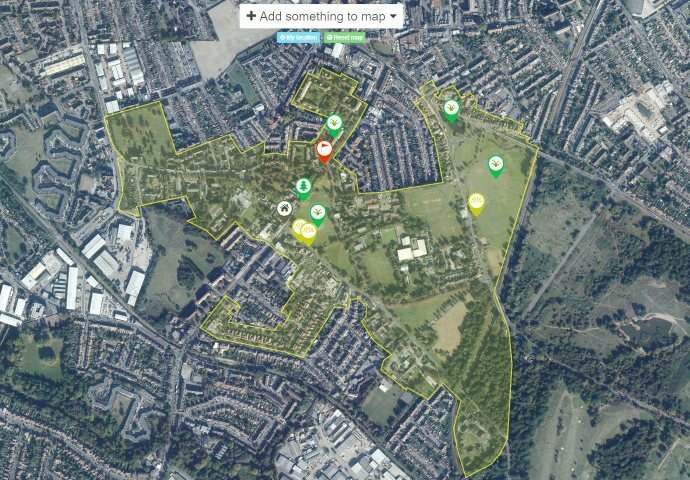 This year we will be launching our new Community Map for Cricket Green and sharing news of the multi-million pound Lottery funded project bid at The Canons. There will also be a free guided walking tour and cricket will be played on the historic ground during the evening. We are delighted that the Mayor of Merton will be attending. This entry was posted in Cricket Green Conservation Area, Events and tagged Community on the Green on July 4, 2017 by mitchamcricketgreen. We published our Annual Review for 2016 at our AGM on 25th April 2017. This captures the breadth and scope of our work throughout the year, and it is packed with information. Our very significant involvement in the £5m Canons Lottery bid, with hundreds of hours of volunteer effort put in. A decision on this is coming in June 2017. There is much more about us and our work in the Annual Review. This entry was posted in Cricket Green Conservation Area, Events and tagged Annual Review 2016 on April 26, 2017 by mitchamcricketgreen. Please join us for Mitcham Heritage Day on Saturday 17th September. We have brought together a number of organisations who will offer a range of free events including talks, exhibitions, and chances to see and try new things. All the events take place between 10am and 4pm. Check the schedule on the printable poster below to make sure you don’t miss anything! The day will round off with an evening choral concert at Mitcham Parish Church starting at 7pm. Thank you to all the participants and helpers who are giving their time making this year’s event happen. This entry was posted in Events on August 20, 2016 by mitchamcricketgreen. Join us on Wednesday 27th July at Cricket Green 6pm till dusk. Mitcham Cricket Green Community & Heritage invites you to join us on Wednesday 27th July for our annual celebration of Cricket Green and everyone who lives and works here. This year we have a special focus on The Canons which is currently the subject of a multi-million pound Lottery bid. Take the opportunity to see the area as you may have never seen it before with a special 3D fly through display. There will also be a free guided walking tour of the grounds. Cricket will be played during the evening. The Mayor of Merton has also been invited. We hope you will join other organisations, businesses and the local community for what will be a relaxed, enjoyable and informative evening. This entry was posted in Events on July 5, 2016 by mitchamcricketgreen.